Date of Construction circa 1873 AD. 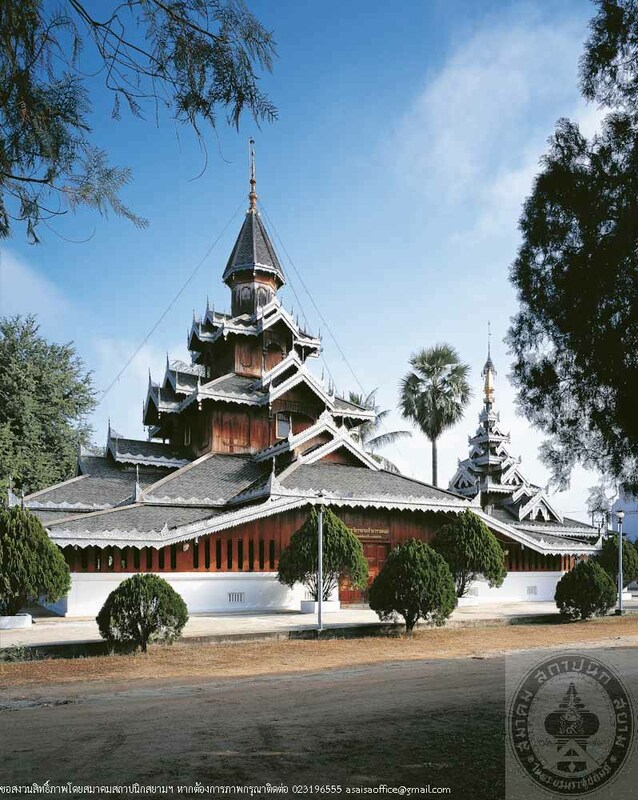 Wat Hua Wiuang was founded in 1863 AD., the second oldest in Mae Hong Son. Significant architecture in the compound is Wiharn Phrachao Phalalakhaeng, where an important Buddha’s image “Phrachao Phalalakhaeng” is enshrined. It is a Tai architecture, rectangular plan with a front porch, dated circa early Rattanakosin period (1873 or not long afterwords). The roof is intricately tiered up into two spires, each of which is topped with an octangonal dome decorated with the tired umbrella. The building is made of timber structure; walls are made of plastered brick masonry on the lower parts and wood on the upper parts. The overall appearance is pure, lofty and beautiful.The building umderwent the lastest restoration in 1993 by the Fine Arts Department. The Buddha’s image, Phrachao Phalalakhange or Phra Mahamuni, was built in 1873 as a replica to the original in Burma. 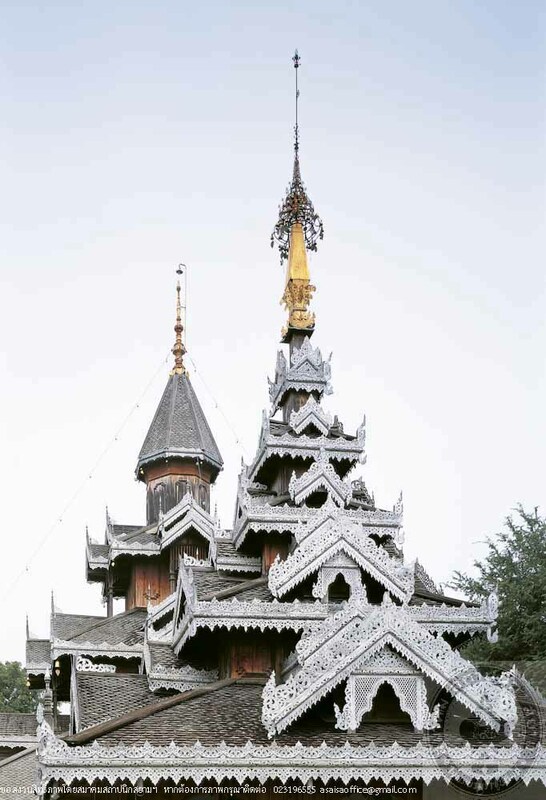 The image was cast in Burma and transported to Mae Hong Son by 9 boats, in each of which a part of the image ws carried, and was reassembled at the temple. Inside the head of the image contained the sacared relics. 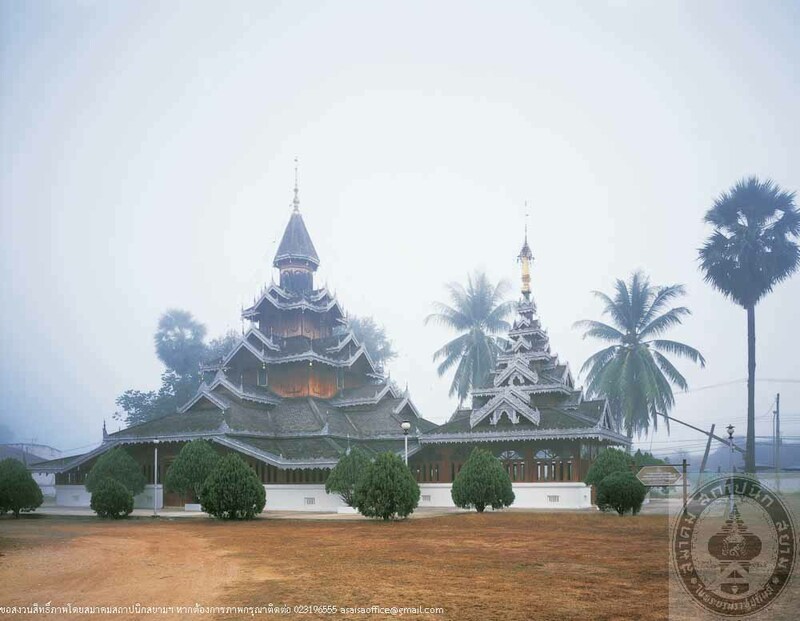 The image has long been worship as the most significant Buddha’s image of Mae Hong Son Province.